The Meeting said that qualified seafarers are key to achieving safe, secure, environmentally sound and efficient shipping. 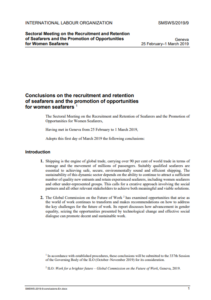 The sustainability of this dynamic sector is based on the ability to continue to attract a sufficient number of quality new entrants and retain experienced seafarers, including women seafarers and other under-represented groups. For this reason, the Global Commission on the Future of Work 2 has examined opportunities that arise as the world of work continues to transform and makes recommendations on how to address the key challenges for the future of work. In order to mitigate these issues, a number of actors in the sector must take responsibility. Government programmes should encourage the recruitment and development of seafarers, like subsidy programmes for training or tax incentives. In addition, they should provide equal opportunities for seafarers, including women seafarers. 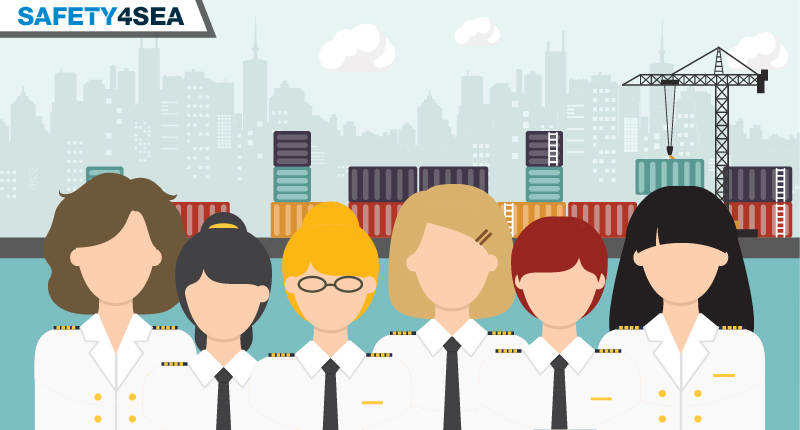 Nonetheless, a one-size-fits-all approach to tackle the discrimination of women seafarers is not realistic since there are notable differences in the life at sea of women across different types of ships, cultures and different trading patterns. The calculation of an annual index on gender equality for companies with more than 50 workers, engaging in awareness-raising and identification of barriers when the figure falls below a certain threshold. Moreover, mandatory pregnancy testing, as part of the pre-employment medical examination of seafarers, is a concern for many women seafarers. There are Members that have equality and anti-discrimination legislation which prohibits the employer from asking a worker or a potential worker whether she is pregnant or other questions that are considered to be discriminatory. Solutions to effectively address harassment and bullying could include an independent hotline or reporting process, sensitization and diversity training of all cadets and trainees and seafarers, as well as amendments to relevant ILO instruments for seafarers. Every seafarer, regardless of their age, have the right to equal employment opportunities based on skills and qualifications and equal treatment on board. To ensure this, the promotion of crew balance in terms of age, reskilling and schemes for transition to shoreside jobs is necessary. Facilitate the expedited repatriation of abandoned seafarers. Consider cooperating in the promotion of the provision of qualifying sea time for seafarers under training via collective bargaining agreements or other appropriate means. Ensure that pregnancy testing for women seafarers is in line with Convention No. 111. Carry out a review of the international labour standards regarding the maritime sector to identify biased language in order to address and to promote diversity and inclusion.